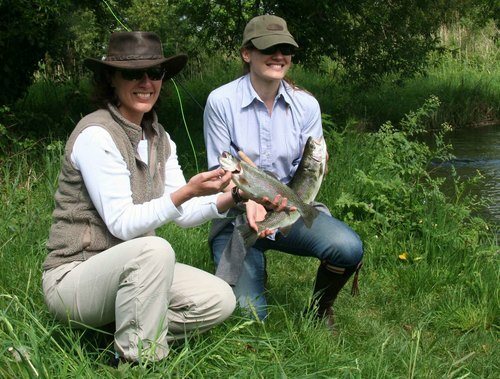 Ladies’ Day – Presented by Upstreamdryfly, the Peat Spade Inn and Hardy Greys. 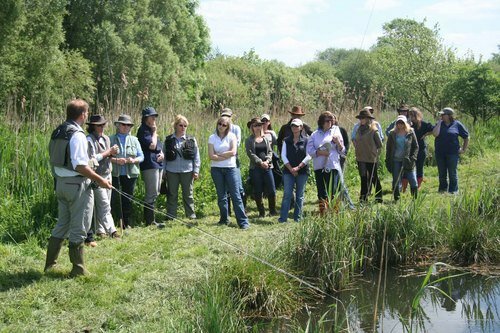 Hardy & Greys Ltd Game Academy Member and Game Product Consultant, Howard Taylor and The Peat Spade Inn, Longstock held their second ladies fly fishing day back in May. 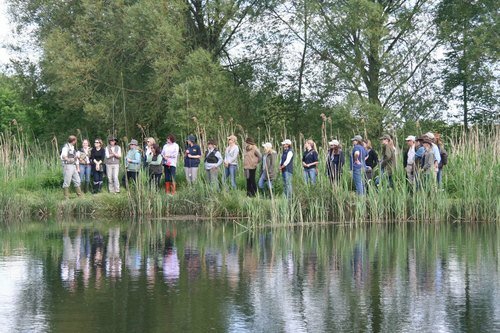 Twenty ladies took part in the event held on Sunday May 18th on a private estate lake on the River Test. This year the weather was wonderful – thank you. 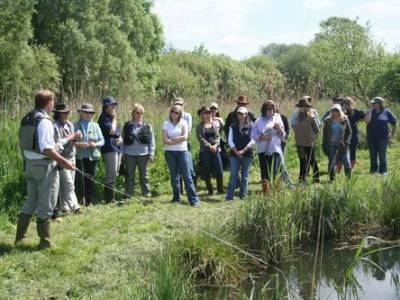 The ladies learnt basic casts, some entomology and how to hook and land their first trout in a relaxed and informal atmosphere, from one of the professional AAPGAI instructors. 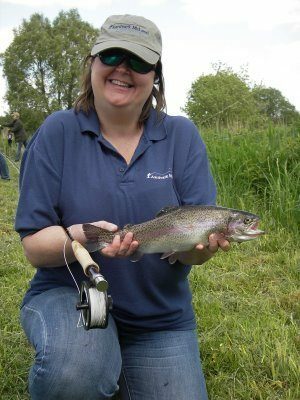 Supported by Hardy & Greys Ltd and using fishing tackle newly launched for 2008 including the Hardy Demon Rods and Greys G-Tec reels the ladies, aged between fourteen and sixty five were surprised at how easy fly fishing was to take up and enjoy. “The Ladies day was booked by my husband as a surprise for me and I had a fantastic time with visual demonstrations and one-to-one guidance. Everyone was proficient, really patient and very friendly. 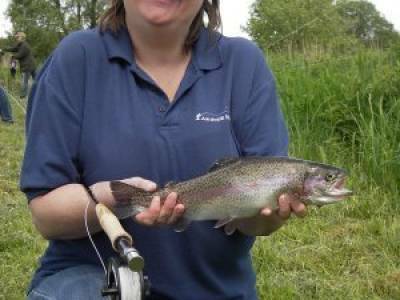 Bagging my first ever rainbow trout was a real thrill but just being there was more important. The day confirmed I am passionate about this sport." “It’s a real pleasure to teach ladies as they generally make far better students than men. 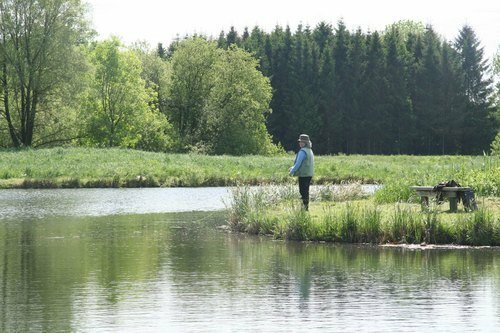 Ladies listen and put words into practice very well, making excellent casters within a matter of minutes. 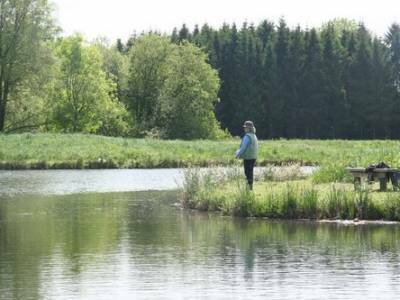 They certainly show their husbands and boyfriends that they’re not fishing widows and show a great deal of finesse with a fly rod." 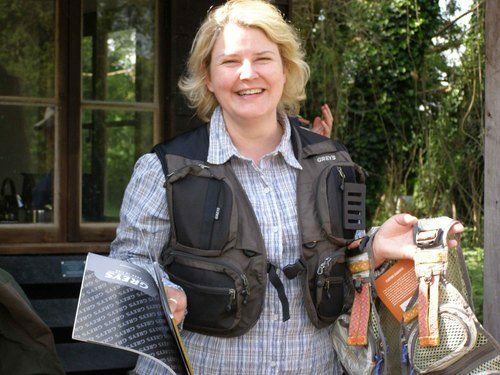 A prize giving followed the fishing and prizes included a Ladies Fishpond Vest, won by Mandi Doyle for most improved angler and all ladies received a Hardy Demon cap. 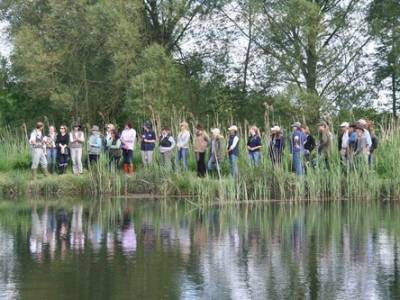 Howard would especially like to thank Hardy & Greys Ltd Public Relations Coordinator, Lucy Bowden and Hardy Game Academy Member, Rebecca Thorpe for their help at the Ladies Event. We will see you all next year! Details of next years Ladies’ Day to be announced this winter.